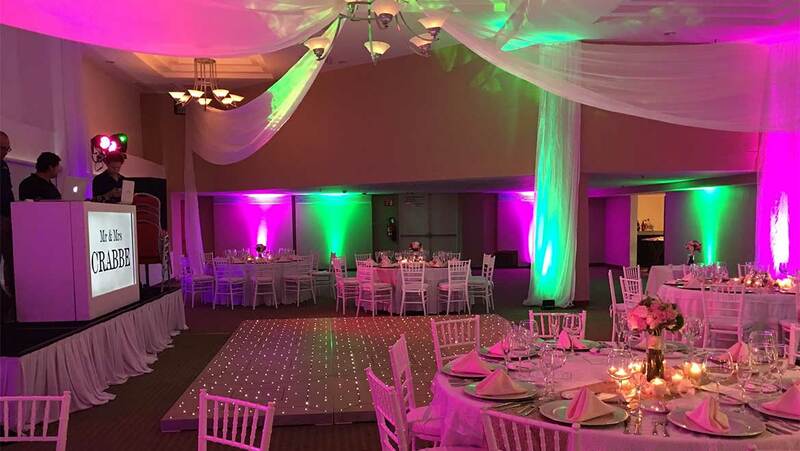 Omni Cancun Hotel & Villas offers a variety of options for your big day—on the beach or in one of our ballrooms or restaurants. 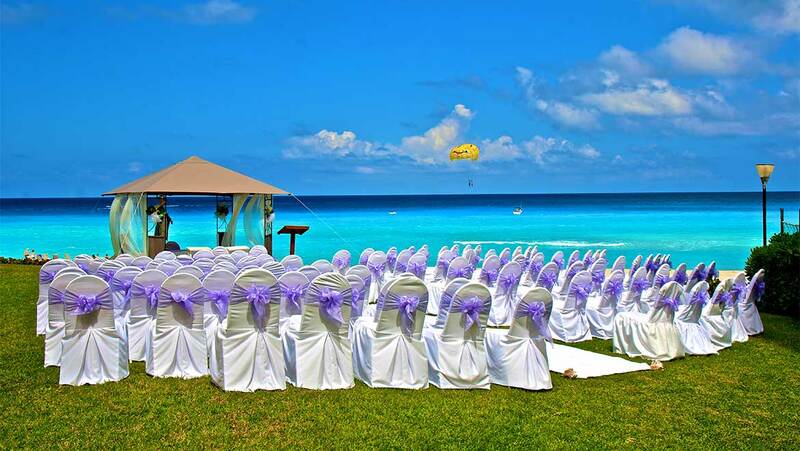 Our expansive beach can host a ceremony and reception of any size. Our ballrooms and restaurants are also an excellent option for wedding day events or even a rehearsal dinner or private brunch. 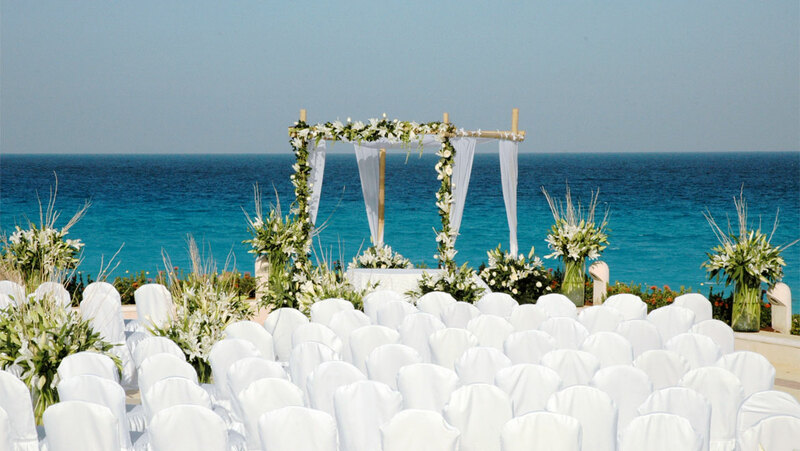 Our expansive beach can host a ceremony and or reception as small or large as you’d like. 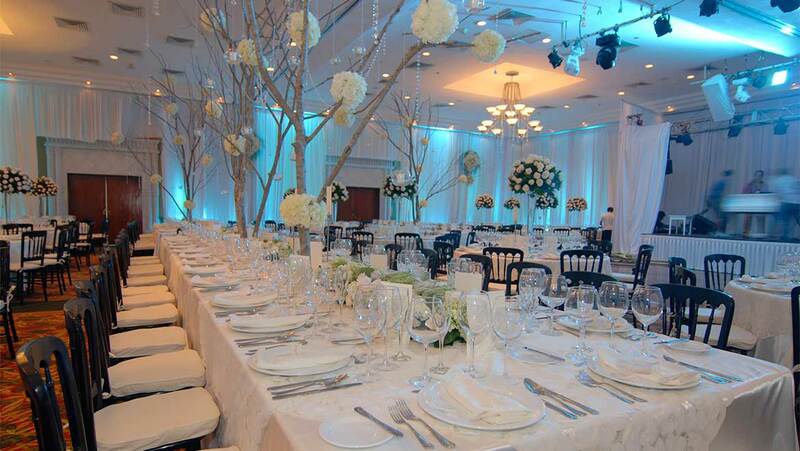 This romantic setting provides beautiful views of our white sand beaches and crystal blue water. 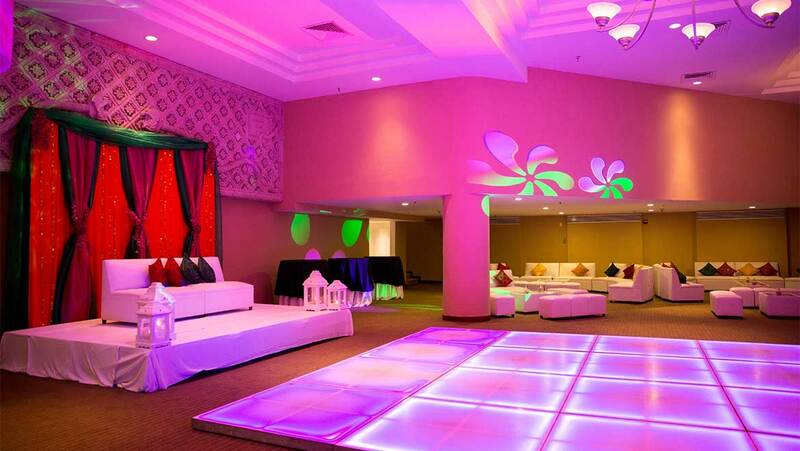 There is literally no limit to our creativity and your wish is our command! A garden ceremony overlooking the ocean is a great, private venue with a beautiful background of nice turquoise blue ocean. 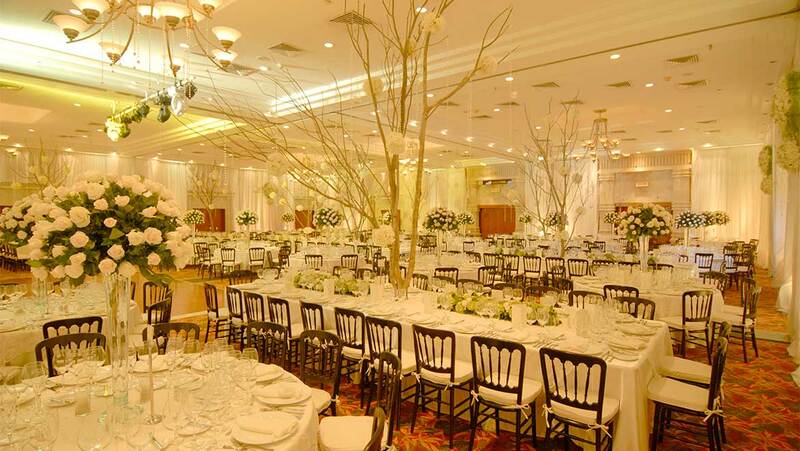 Enjoy an intimate ceremony, followed by a garden cocktail and private dinner set up on the terrace. The terrace provides spectacular views of the azure seas and a tropical breeze. 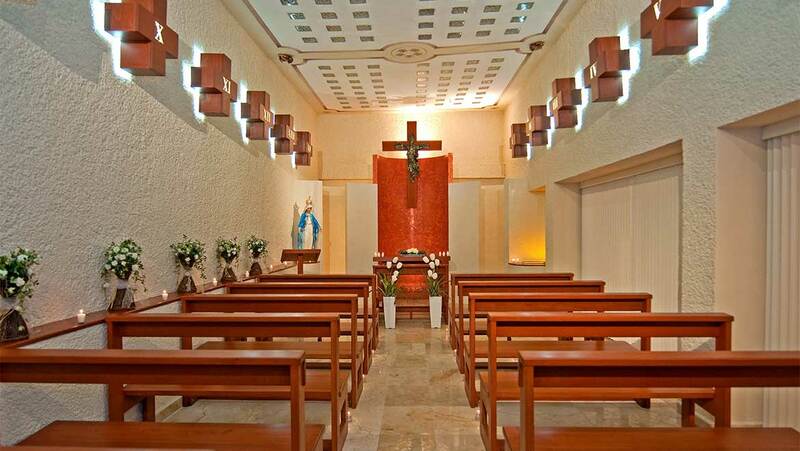 Our Catholic Chapel, right on property, is a beautiful, intimate sanctuary with spectacular architectural design allowing for plenty of natural light in the day and romantic, soft hues at night. 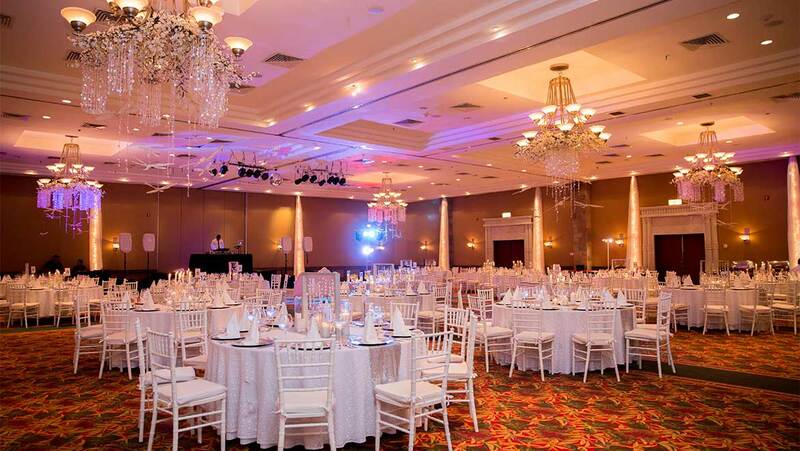 Our largest ballroom is best for large, formal affairs. The foyer is replete with natural light, a modern painted mural and a replica of a Mayan temple wall from Palenque. Sliding glass doors lead to a quaint courtyard. 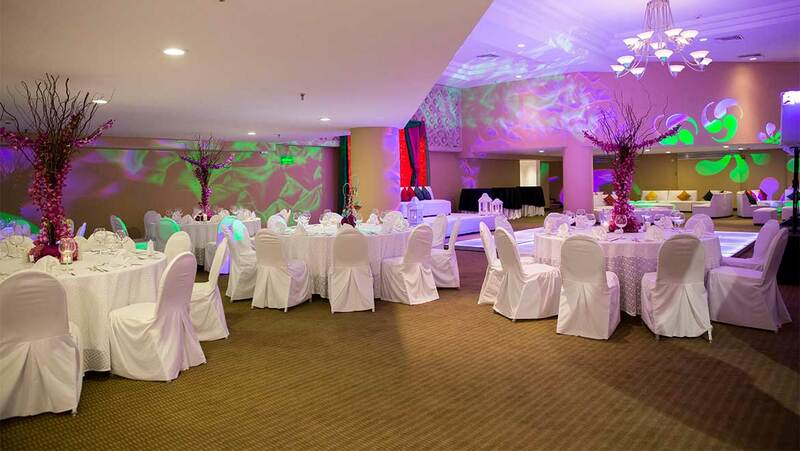 Our mid-sized ballroom features windows toward the lagoon, offering natural light as well as a foyer with a beautiful Mayan stone relief mural.